Yesterday – Wednesday – half way through the Festival! The day got off to a great start as I sold Rob Wheeler’s biggest pot, and more of Caroline Sullivan’s designer knitwear within 15 minutes of opening up in the morning! The whole day was good, but our evening event was brilliant! James Russell came from Bristol to give a lecture called ‘Eric Ravilious and Edward Bawden: An Artistic Friendship’ – and the church was full. It was a fascinating talk, which everyone enjoyed, and some of the illustrations I had never seen before. 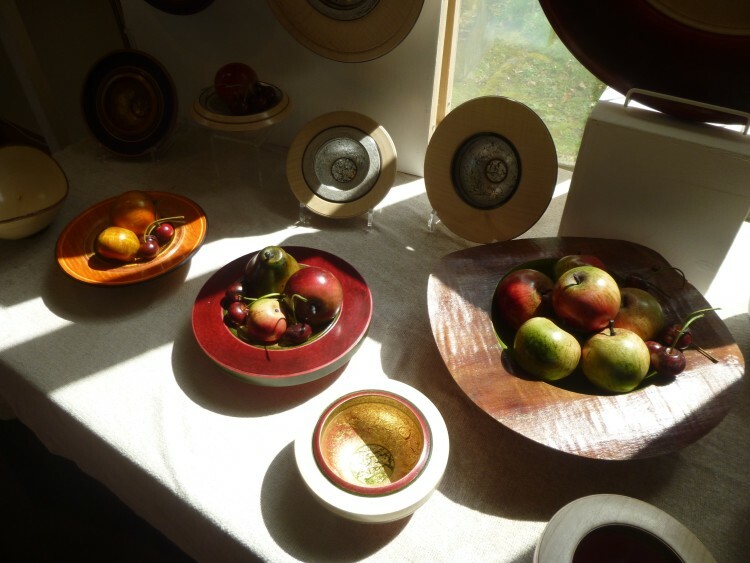 It was lovely to see some of our current exhibiting artists there – Anne Townshend, Tracey Saunders and Penny Bhadresa – and also some artist friends from previous years – printmaker Elizabeth Morris and potter Richard Baxter. 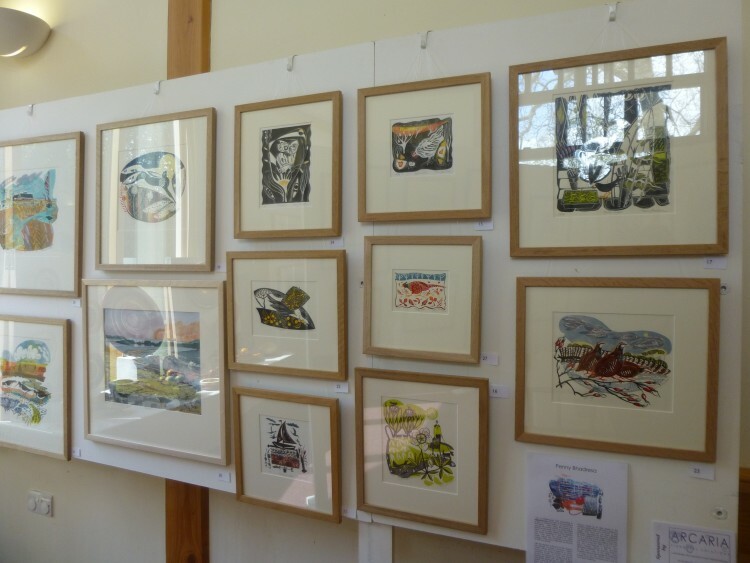 Amazingly we sold £800 of art work in the half hour interval, and James’ publisher, Tim Mainstone of The Mainstone Press also sold lots of James’ books on Ravilious. I was delighted, at the end of the evening, to be given a beautiful book on Ravilious’ wood engravings by Tim! I heard so many comments in the interval about how interesting the talk was, what a good speaker he is, and how much people were enjoying themselves, that we have already suggested to James Russell that a return visit to next year’s Festival would be a Good Idea! Here are a few photos of the Art Exhibition to finish with. We are looking forward to Hugh Lupton’s storytelling evening tomorrow for ‘The Dreaming of Place’ – this will be Hugh’s third visit to the Festival – and, of course, to another good day today! The sun is shining and the sky is cloudless – that’s a good start.